Halal Expo Dubai, the largest and most comprehensive business-to-business (B2B) halal exposition in the Middle East, and Salaam Gateway have agreed to promote the strategically significant event and to attract foreign halal investment into Dubai. The agreement will scale-up Halal Expo Dubai within UAE and to the global investors, exhibitors and trade visitors from Halal food, Islamic Banking and Halal lifestyle sectors, said a statement. Under the partnership agreement the two platforms will undertake regular consultations to review and ensure alignment of ongoing collaborative activities, and to develop a joint work programme, it said. The agreement will focus on expanding the use of join promotional activities to increase awareness about the Halal Expo Dubai and its programmes, it added. 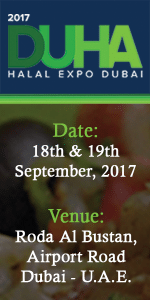 Halal Expo Dubai is a gateway to the lucrative and growing Middle East Halal market. The event will attract over 4,000 buyers from over 40 countries. It will provide a platform to introduce new products and services to the Middle East Halal market. Halal dealers and distributors will get a chance for business match-making, alliances, and joint ventures. Halal Expo Dubai, taking place on September 18, in Dubai, UAE, at Roda Al Bustan Hotel, is a major specialised event in Middle East for Islamic economy. 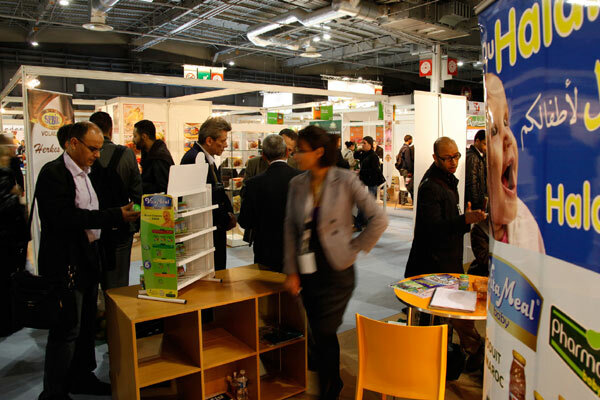 The show not only focuses on Halal food companies but it also has dedicated spaces for Islamic banks, insurance companies, modest fashion, lifestyle brands, logistics and supply chain, Halal transportation, Halal ports, Halal industry events, Halal certification services and all related businesses. “Both organisations share the common goal of promoting Dubai as the centre of Halal trade all over the world. The partnership will give global outreach to the event,” he said.